REALLY? 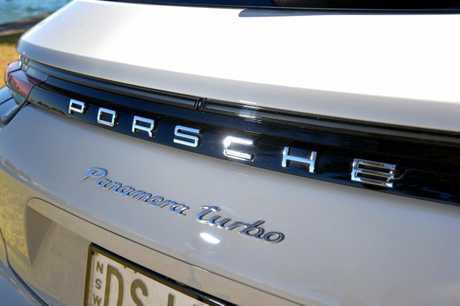 Can the famed Porsche badge be a load-lugger? Absolutely. The automotive industry is a rapidly moving beast and even the world's sports car makers have entered new realms and pushed boundaries to survive. Porsche is a prime example of marques that have been forced to move with the times. While two-seater sports cars like the 911 built the foundation, changing tack to the high-riding Cayenne SUV was vital in maintaining the brand's existence. 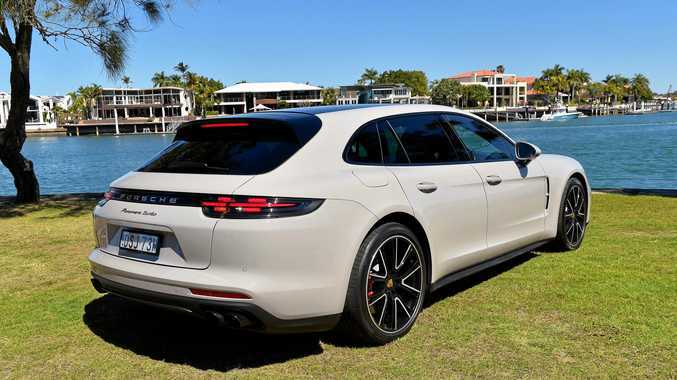 The Cayenne was followed by the mid-size Macan SUV - which has become Porsche's most popular model Down Under. Porsche isn't the only marque that has trekked down the SUV route. Lamborghini has launched the brutally fast Urus SUV, even Rolls-Royce has recently welcomed the high-riding Cullinan to its showrooms. 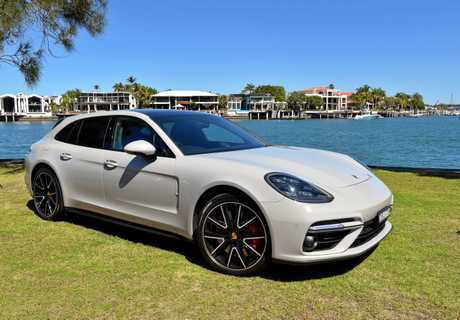 This is a Porsche for the whole family, the Panamera Turbo Sport Turismo. 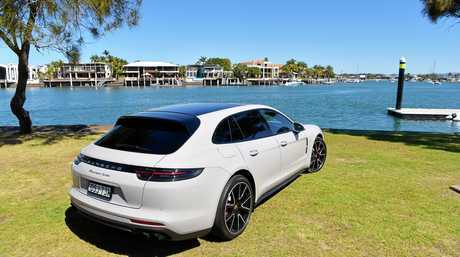 That's Porsche speak for station wagon (a first for the brand) and the retail price is $390,700 - before on-roads. While the Panamera hasn't enjoyed lofty success here, it's going gang-busters in China. Chinese buyers love to be chauffeur driven and the space afforded in the back, where you'll find individual controls for the aircon, fits the bill. From the outside there are design cues inherited from the 911 and many prefer this Sport Turismo styling to its slimmer lift-back stablemate. Step inside and it feels iPad inspired. 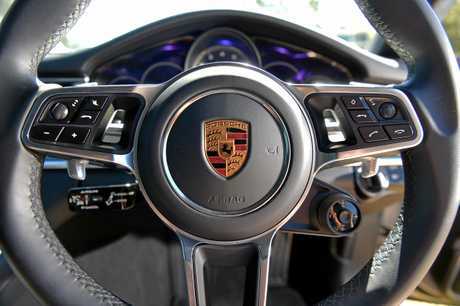 From the 12-inch touch screen to the driver's central tachometer flanked by two digital displays, which can be altered to provide everything from satnav maps to trip information, it's a window to Porsche's interior future. 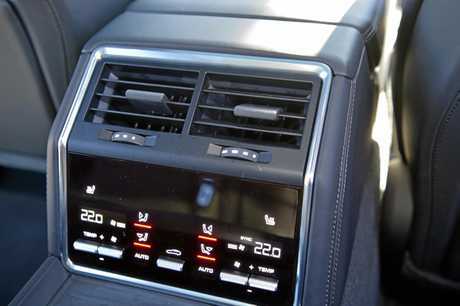 The only criticism can be levelled at the central air vents, which have to be controlled via the touchscreen yet feel and look flimsy and can be difficult to position. Befitting the comfort remit, complimentary items include 14-way power seats, four-zone aircon, panoramic sunroof, 14-speaker Bose sound system and classy leather trim. Like all high-end offerings, there is still the chance for multiple bespoke additions. Just on our car, it had the special paint ($8290), 21-inch high-gloss black wheels ($8070), sports exhaust ($7650), the Chrono Package ($4790) that comes with a mode switch on the steering wheel for different drive personalities, tinted LED tail lights ($1690), glossy black window trims ($1190) and USB interface in the back ($790). Any vehicle longer than 5m has no business being this good. 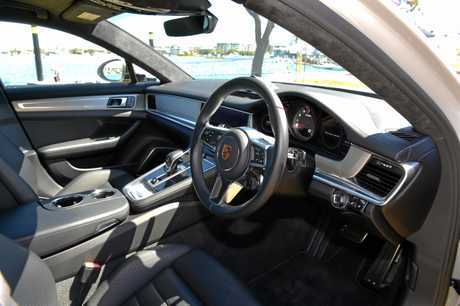 While not a slick sports car hankering for a track like its more compact brethren, the Panamera blends grand tourer with racing DNA. The 4.0-litre twin turbo V8 has brutal abilities with capacity to propel the wagon from standstill to 100km/h in 3.6 seconds enroute to a top speed of 304km/h. Other variants come with a pair of V6 options, yet this stonking bent eight is the choice for those with the deepest of pockets. Rarely feeling its two-tonne weight or sizable length, the power is permanently at the ready and all-wheel drive offers outstanding grip. With capacity to seat five, it's a lethal limousine. Bolstered by the Chrono Pack, it comes with a button on the steering wheel that not only changes the characteristics of the car but canprovide maximum power for about 20seconds. Punch the button followed by the accelerator and it feels akin to an aircraft take-off. Around town with subdued driver behaviour and the V8 is barely breathing. The 21-inch rubber generates some noise on various coarse surfaces in an otherwise refined cabin. 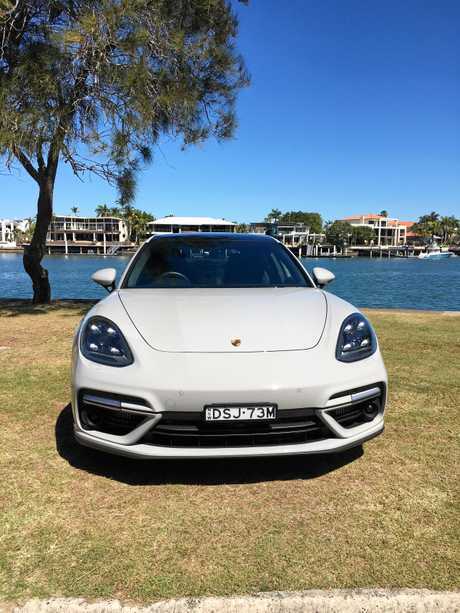 Adaptive air suspension firms the spring rates when required for pure fun but the Panamera can be raised to avoid kerbs and driveways. Three can be accommodated across the back seat (Porsche actually calls it 4+1 seating), it's better suited to a pair in the rear where leg accommodation is generous. The occupants just need to get used to sitting low - it is a Sport Turismo, after all. Unlike many sports cars, there is also a sizeable boot that easily handles a grocery trip or sporting gear. Standard equipment is impressive, with adaptive cruise control, blind spot warning, lane keeping assist that also provides semi-autonomous driving in traffic at up to 60km/h, 360-degree camera view and infra-red camera with night view to detect wildlife and pedestrians. One omission is the lack of a head-up display to keep a constant eye on the speed. The kids can't fit into the 911, nor will all their gear, this is the most mature buy without stepping into an SUV. No matter how big the size, it's still a Porsche and it maintains the first-rate performance. The four-door four-seater with a 6.3-litre V12 packing 507kW/697Nm. It's not perfect but is surprisingly agile as well as being more decisive and has more sensual curves than the FF it replaced. The price makes the Panamera look like a bargain. While not a wagon and with only two doors, it's a fine grand tourer with a 6.0-litre 467kW/900Nm W12 twin-turbo under its beautiful skin. It's just arrived and the Continental hits corners like no Bentley before. THIRST 9.5 litres/100km (not bad).